It is impossible to meet with Florent Baumard without reference to the whirlwind of controversy that has swirled around him and his wines in recent months. 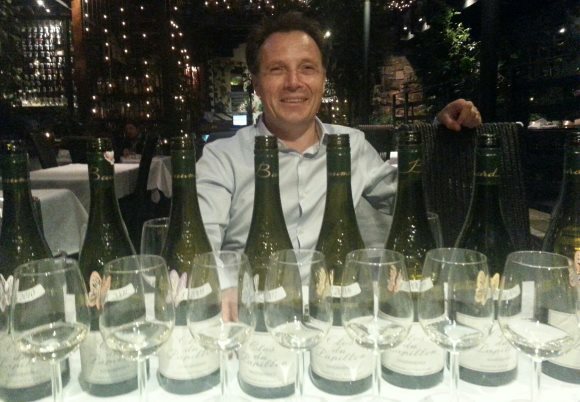 Allegations and counter-allegations have been hurled across social media, concerning Baumard’s winemaking techniques and his objection to proposed changes to local appellation rules. Arguably it is all a storm in a tea-cup (as it centres on one tiny appellation in France’s Loire Valley), but the issues involved have been hugely divisive and have spilled over from the shark-infested waters of online debate to the normally quiet streets of Baumard’s home town. The Loire Valley is unusual amongst France’s top wine regions in that there are no Grands or Premières Crus. Even although certain vineyard areas have long been accepted as producing superior grapes and wines, officially every Appellation Contrôlée vineyard in the massive Loire region has been rated equally. Two years ago, however, a hard-fought battle to recognise a Loire Grand Cru was won: the tiny sweet wine appellation of Quarts de Chaume was the deserving role model that was set to become the Loire’s first ever Grand Cru. Many hoped it would lead on to the entire region finding new fame and, presumably, higher prices. Along with Grand Cru status would come new rules and new legislation, and this was not unanimously welcomed by Quarts de Chaume’s growers, especially by Domaines des Baumard. 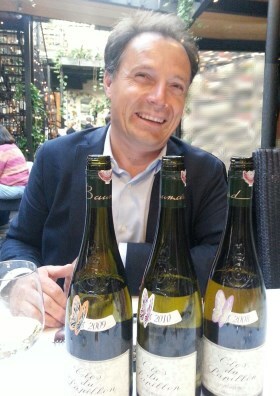 Baumard objected to the way the legislation had been drafted, but one rule change in particular was fundamentally unacceptable: it would ban the Domaine’s use of a technology that Florent Baumard refers to as ‘cold pressurage’. To make his Quarts de Chaume wines Baumard freezes the harvested berries. Though legal, the process is controversial. Some claim it allows a winemaker to ‘concentrate’ the sugars and apparent sweetness of a wine artificially, whilst Baumard insists the freezing process simply allows him to eliminate less ripe grapes, leaving only the naturally sweetest juice to go into his must. It is, he says, nothing more than a means of sorting the harvest. Just as Quarts de Chaume’s new Grand Cru status was about to be rubber-stamped into law, Baumard filed a lawsuit with France’s administrative court stating his objections. This, temporarily at least, blocked the changes and all hell has broken loose. Other powerful growers in the region have voiced their displeasure, and journalists have weighed in on the debate. Both Baumard’s techniques and his motives have been questioned. As I said, it is barely possible to write about Baumard without reference to this affair, but this article is about the man and the wines: it will concentrate on those, not politics. Florent was very happy to talk about the affair and robustly defended his position, as he has done in public forums, but those interested in the controversy can find plenty of material online. The Baumard property near Rochefort sur Loire in Anjou (left) has been in the family since 1634, but it was Florent’s father, Jean, who really established its wine reputation in the mid-1950s. For 60 years their wines from surrounding appellations, dry Savennières and sweet Coteaux du Layon and Quarts de Chaume, have been widely acknowledged as some of the greatest wines, not only of the Loire, but of the world. Florent took over from his father in 1992, but from the outset the Baumard’s were not afraid to experiment. The use of ‘cold pressurage’ is one example of their innovative approach, but previously Florent’s father had chosen a very different planting regime from their neighbours in Quarts de Chaume (based on his studies of German, Austrian and other cool northern wine regions rather than local French tradition), and the estate was the first top quality producer in the Loire to move its entire production under screwcap. This fascinating tasting included an eight-year vertical of every vintage of Clos du Papillion Savennières released under screwcap. Though concentration and precision was a constant theme, the wines showed an extraordinary array of vintage variations, sometimes tasting like the steeliest of Chablis, sometimes like minerally Riesling, occasionally like ripe, Burgundian Chardonnay. Florent agrees that the wines do need time to evolve and show their complexity: when young they can be tightly-wound bundles of nervous energy. He releases the wines only after three or four years of bottle age, but the best vintages will blossom over decades. Below: ready to taste. 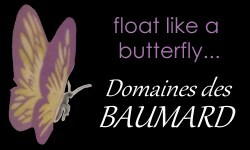 UK Agent for Domaines des Baumard is Alliance Wines. A wine that is so obviously tight and youthful, but has a background of fruit sweetness, but the tensioning core of acidity is like a vice. Quite subtle, tight, fine apple aromas, a steely citrus dryness, a certain mineral character. So young and tightly wound but very promising. 91-93/100. See all stockists on wine-searcher. A tiny bit more open than the 2010, a touch broader on the nose with sour apple cores, then a wonderful sense of burgeoning richness through the mid-palate, then a hint of sweetness against that huge core of acid. Long and nicely balanced. 91-92/100. See all stockists on wine-searcher. Classical vintage says Florent, a hypothetical blend of ’06 and ’04. The first of the wines that has really begun to open, to show some of the wax and lanolin quality and some rosy red apple. On the palate a lovely echo of sweetness and fullness, a fleshy quality suddenly, with a nicely open charm, that sour pithiness coming through. 92/100. See all stockists on wine-searcher. Florent says this vintage was similar to 2005 in heat and richness. Fantastic toast here, beautiful development with lots of dry extract and alcohol, but really nice, charming apple and tangerine notes along with the bracing endive, chicory note of the acidity. Long and has a touch of over-ripeness, even a hint of rich Burgundian chardonnay. 92/100. See all stockists on wine-searcher. A classic vintage according to Florent. Beautifully tight and rich at the same time, with lovely mineral finesse, but there is oatmeal and cream in the mix adding some roundness to the steel and lemon rind freshness and drive. Lovely precision here and seems hugely long and composed. 93/100. See all stockists on wine-searcher. A very warm, rich vintage. Fabulously tight, but showing some white flower delicate notes, a touch of talcum amongst the orchard fruits. Superb impression of sweetness, the finish delicate and well balanced with loads of acidity. Long and deliciously balanced wine, perhaps not quite as profound as some here? 92/100. See all stockists on wine-searcher. According to Florent, this was the coldest of the decade. Touches of kerosene and Riesling like aroma with plenty of lime, and fresh running water clarity. The Riesling lookalike impression continues on the palate, with a huge pithy thrust of grapefruit and lemon. Fabulous thrust and clarity and very distinctive. 94/100. See all stockists on wine-searcher. This has a little warming roundness and a definite hint of something green, a real gunflint note here, a wisp of fresh-cracked river stones, perhaps this was picked quite early? It has really steely acidity, much more citrus juice and peel than pith, beautifully long. After tasting Florent told me this wine is not representative of this extremely hot vintage, because he picked early and used a very careful grape selection. It’s a tough one to call as it is from such an unusual vintage, but it tasted balanced and harmonious. 92-93/100. See all stockists on wine-searcher. Florent recalls this sweet wine as having between 80g/l and 90g/l of residual sugar, the fruit coming from several small vineyards and blended together. It is toasty and lemony, with a delightful honey and lime streaking acidity that is very nicely balanced and retains plenty of fresh appeal. 89/100. See all stockists on wine-searcher. Here there is a full 160g/l of residual sugar. Gorgeous nose, so much flooding honey and barley sugar, with an almost minty intensity. Beautiful dancing acidity, and so alive. I guess this might be just as refined and perhaps even purer than the 2007, but just needs plenty of time. 93/100. See all stockists on wine-searcher. Liquidised honey and raisin with nice figgy richness and quince. What beautiful intensity and yet balanced, even with 180g/l of residual sugar to play with. Deliciously rich and exotic on the palate, with still a bright orange acidity and finesse. Lovely richness, and huge thrust of sweetness and shimmering acids to extend the finish. 94/100. See all stockists on wine-searcher.